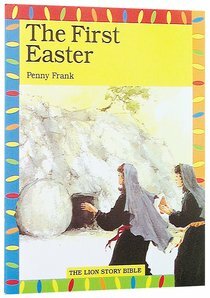 About "First Easter (Lion Story Bible Series)"
Each attractive book retells one complete episode from the Bible in 20 pages. The easy-to-read text is complemented by spacious, detailed pictures. A final page of background information helps parents and teachers set the story in the context of the whole Bible. The Bible reference is included in every book. The original series had 52 books; the new series picks out the top 24: 10 stories from the New Testament and 14 from the Old Testament. Together, they give an excellent representative coverage of the whole Bible narrative. The series has a bright new look. Sales of previous editions exceed 10 million copies.